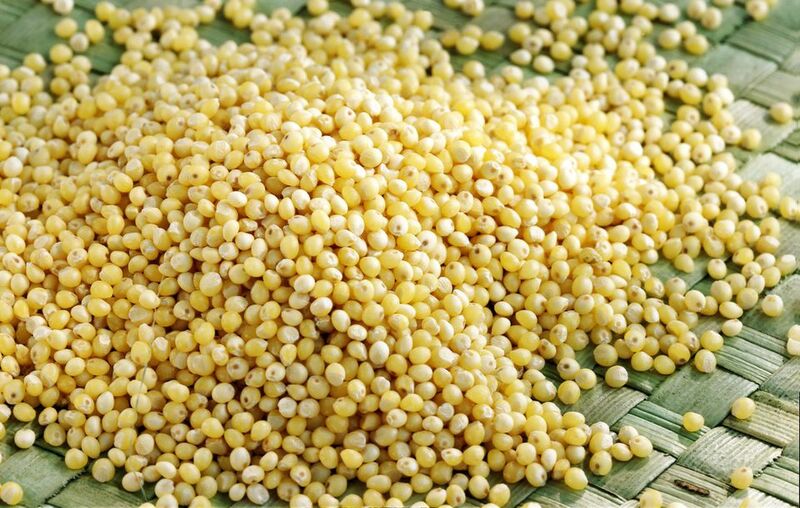 Millet has been a major source of protein and energy for millions of people in Asia, Africa and India for thousands of years. It's gluten-free, has a mild flavor and adds healthy proteins and fiber to recipes which are all good reasons to give it a try. Teff is a gluten-free whole grain similar to barley, wheat berries, and quinoa. Unlike most whole grains, teff is a gluten-free grain suitable for most celiacs and those with gluten intolerance. This ancient grain has been a staple of Ethiopian cuisine for generations. Learn more about millet and teff. Basic Cooking Directions for Whole Millet: Cooking millet is as easy as cooking rice, it just takes 10 to 15 minutes longer. Millet Cauliflower Mash Recipe: In this filling side which can act as a vegetarian main course, millet and cauliflower replace potatoes in a healthier, lower-carb version of traditional mashed potatoes. Gluten-Free Millet Tabbouleh Recipe: This gluten-free millet tabbouleh is a high-protein, vegetable-laden dish ideal for vegetarians, vegans, and anyone looking for a nutritious main course for their lunch or dinner side dish. Indian Millet Flatbread Recipe: This Rajasthani bread goes well with almost any vegetarian or non-vegetarian dish. It is especially good with curries as it is perfect for mopping up the gravy. Teff Rosemary Rolls Recipe: White rice flour, brown rice flour, and teff go into this bread dough which easily can be converted into rolls. Gluten-Free Millet Bread Recipe: Brown rice flour, millet flour, tapioca flour and oat flour combine to make a hearty, moist bread with a hint of molasses.